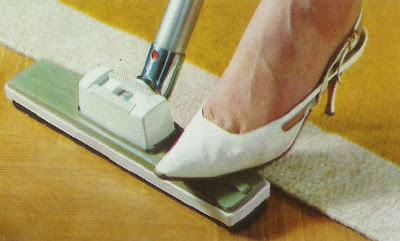 This brochure for a vacuum cleaner must have spent at least 40 years as a bookmark in a dictionary. 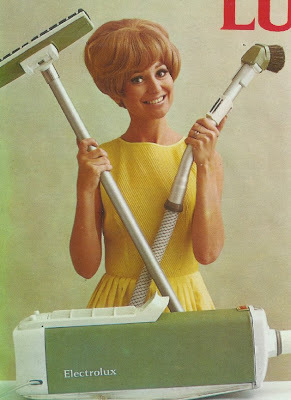 The woman looks so happy that I wish she could come and vacuum my house. But after all these years she’s probably is retired, so maybe I should dig out some fancy shoes and make up and tackle the dust balls. Dust balls are called dust rats (dammråttor) in Swedish so I’ve tried to get my darling interested in hunting them – but he refuses….. It's interesting to see how well we get to know each other by reading each other’s blogs!